Chai Lifeline West Coast is the regional branch of the acclaimed international health service organization that provides emotional, social and financial support to families coping with the short and long-term repercussions of life-threatening and lifelong pediatric illness. In the sixteen years since the Chai Lifeline West Coast office opened, the Los Angeles-based region has enabled the families of thousands of children to find joy and hope as they fight the devastating emotional, social, and financial tolls of serious pediatric illness. Sponsored by the Fischer Family Fund, Beauty Day attracted girls from all corners of Los Angeles and Orange Counties. Mona Mostadim, owner of The Wig Fairy in Los Angeles, opened up her charming salon for the event. With Mona and her expert staff, the girls had their hair fashioned in every which way from French braids to sleek, ironed styles. When it came to nails, blues and bright colors proved to be the most popular nail adornment. While they were being pampered, the girls were able to bond with one another, relating their feelings and experiences surrounding their illness. As they developed and strengthened supportive friendships with one another, their mothers did the same, trading stories, advice, and support. 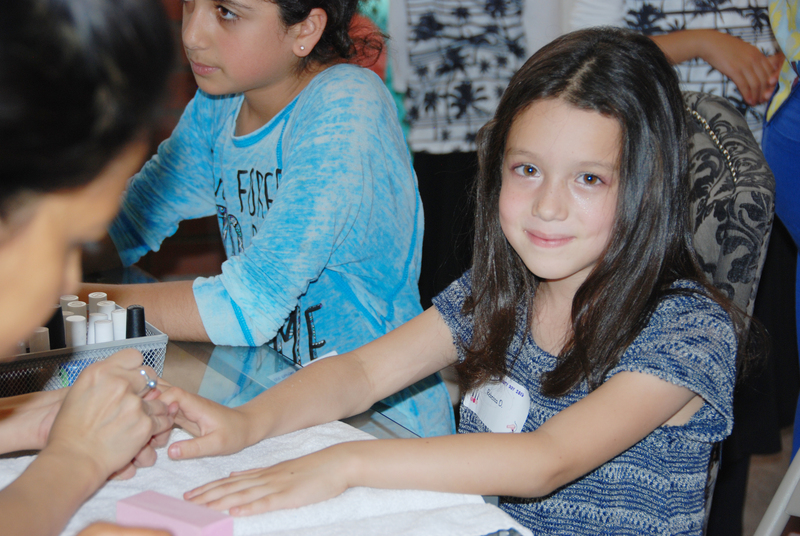 For more information about Beauty Day or Chai Lifeline West Coast’s other programs contact Randi Grossman at Chai Lifeline West Coast, Sohacheski Family Center at 310 274-6331 or 877 374-6331 or email Rgrossman@chailifeline.org. On the West Coast, the Sohacheski Family Center offers over two-dozen year-round, free programs and services to children, their families and communities. For more information about becoming a Chai Lifeline volunteer or donor, or for assistance, contact the Sohacheski Family Center at 310 274-6331.